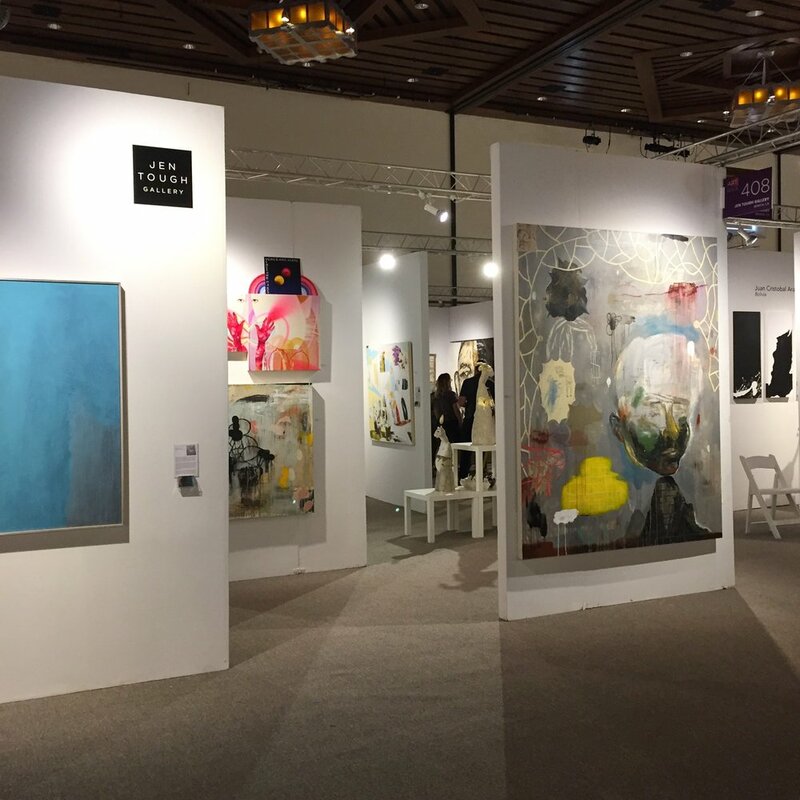 Have your work exhibited at one of the country’s premier art shows, Art Santa Fe. 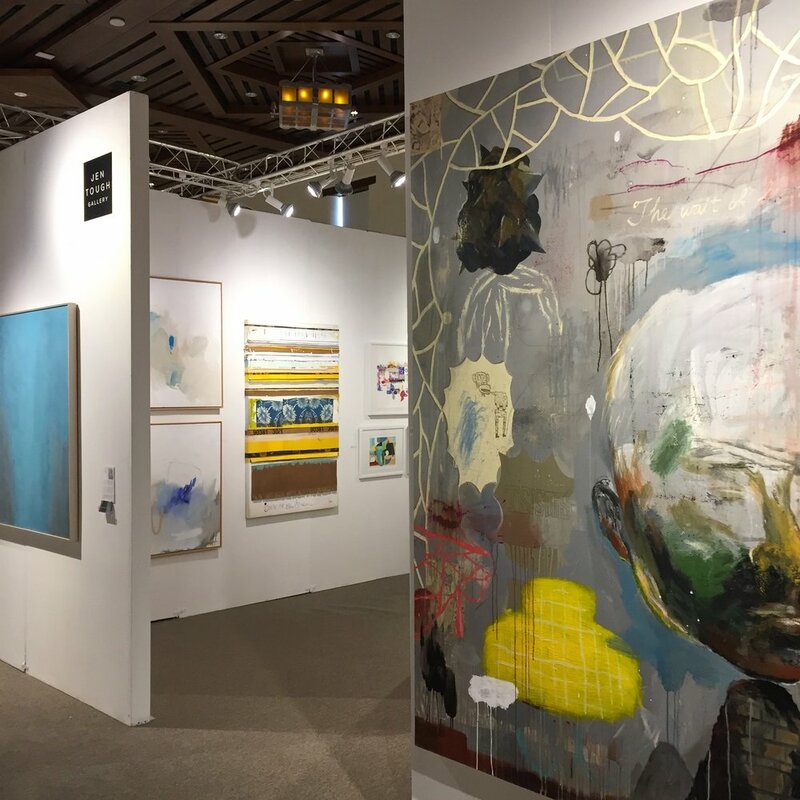 Join us for the festivitIes if you like, where there is an exciting opening reception/VIP party that brings out Santa Fe’s collector crowd, and let us do all the work selling your work for you. 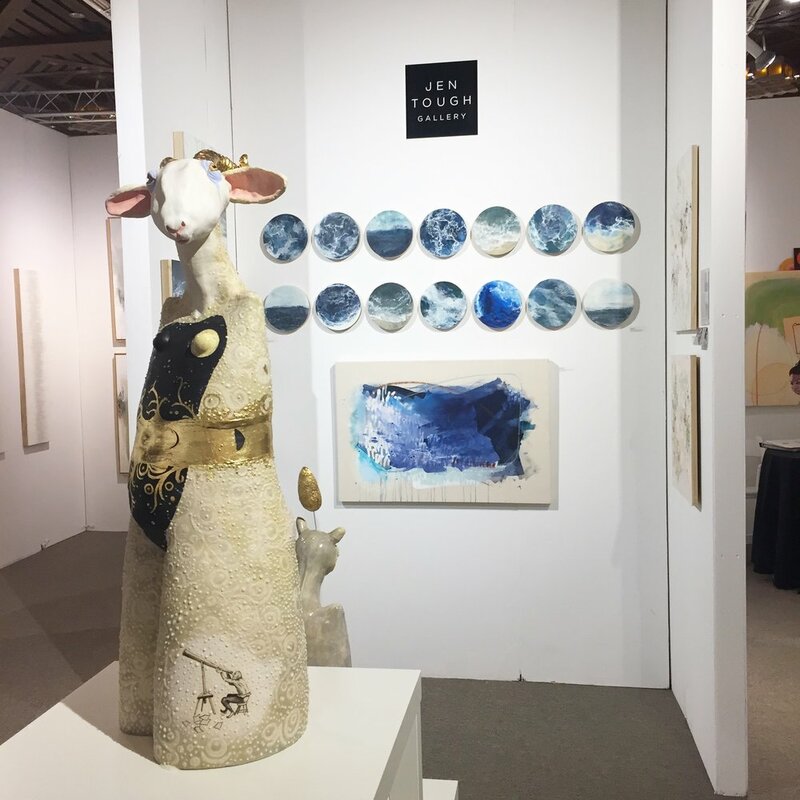 These are all pictures from our booth at Art Santa Fe 2018, and we will have the same booth this year, 408. A 20 foot x 20 foot booth located in the best area of the fair, Center Court, where the bar and reception festivities happen all weekend. We sold numerous works last year, from artists Jenny Phillips, Carol Dalton, Julie Brookman (who started out in our artist collective) and a large painting from a collective artist to collectors from Denver. 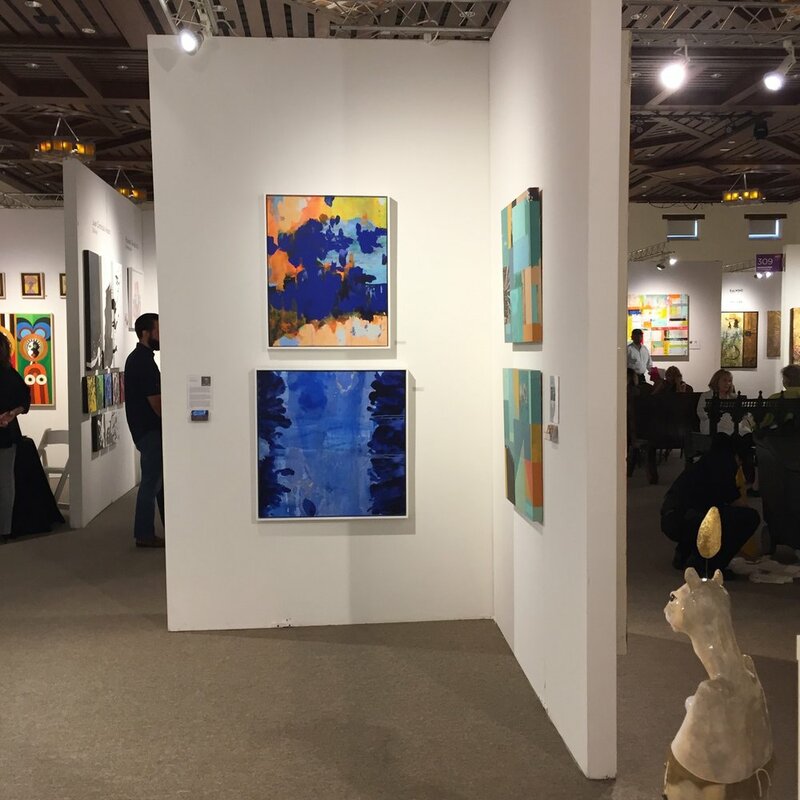 Our artists also won awards, including best of show, selected by Santa Fe art dealers, interior designers and art consultants. 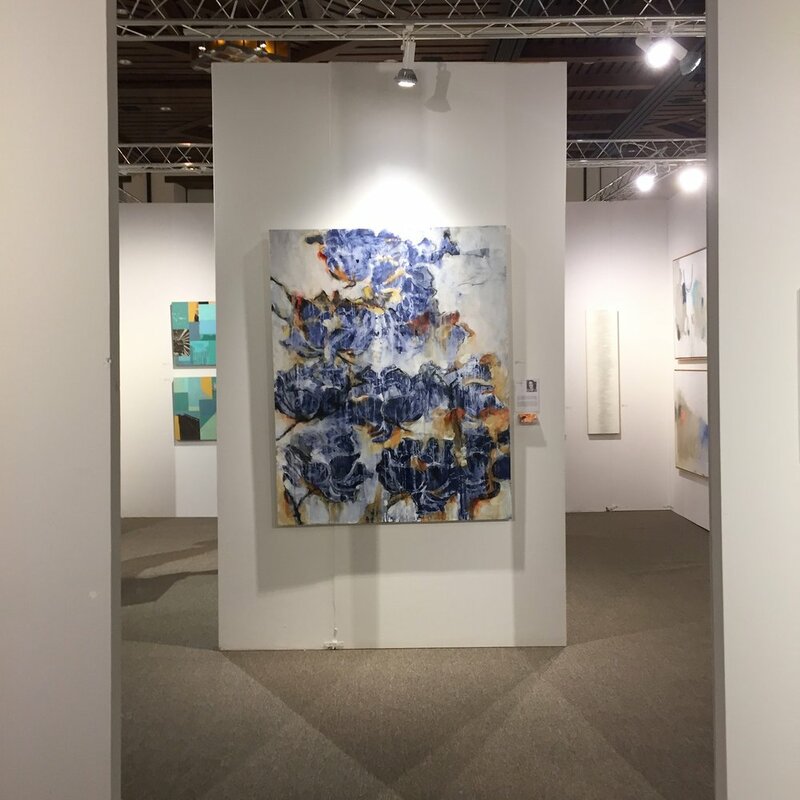 Being part of our collective at Art Santa Fe, as opposed to showing on your own, offers many benefits, including a large, centrally located booth in the gallery section of the fair. And because we are a preferred exhibitor, our artists benefit with additional PR opportunities and exposure. Ready to apply? Send an email to Info@JenTough.gallery with a link to your website, and we’ll be in touch shortly if we feel you are a good fit for the collective.